More of your favourite Beanie Boos—colourful, plush toys with adorable big eyes! Join Blossom, Carrots, and all their Beanie Boos pals for an eggstraordinary Easter egg hunt! Blossom the baby lamb is so excited to try her luck at finding the most eggs. But it turns out she's not very good at spotting them… until a mystery egg catches her eye! What kind of surprise will be in the mysterious egg? Kids can join in the fun as they hunt for eggs along with their favorite Boos in this all-new, original story. 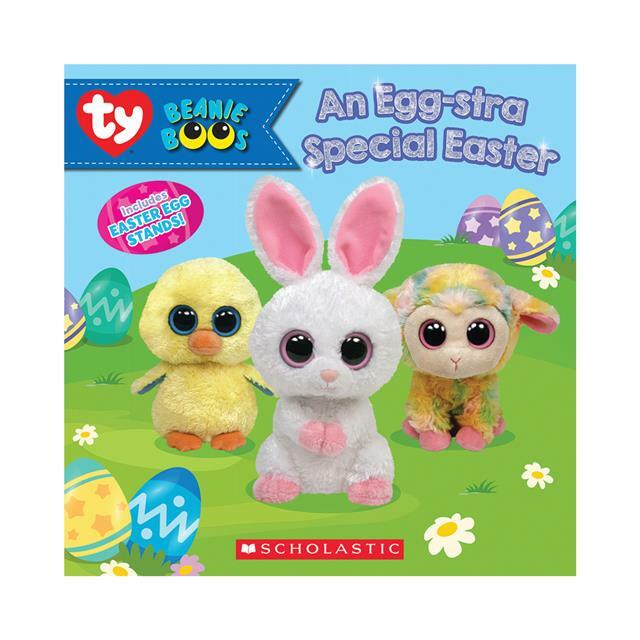 Includes exclusive Beanie Boo Easter egg stands!